Oncology requires both precision and dedication. Our experienced team of board-certified and fellowship-trained physicians ensures the highest quality of treatment. Jupiter Medical Center’s oncology program provides patients with options that match those offered in many of the nation’s top academic medical centers. Progressive treatment and technology combined with highly personalized care results in high patient satisfaction and excellent clinical outcomes. 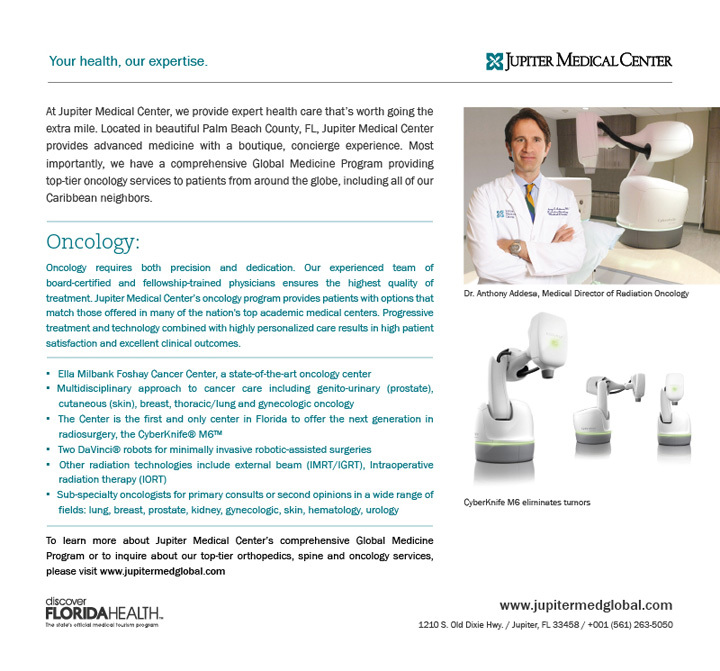 Jupiter Medical Center: Your health, our expertise.